Is the spray can mightier than the sword? 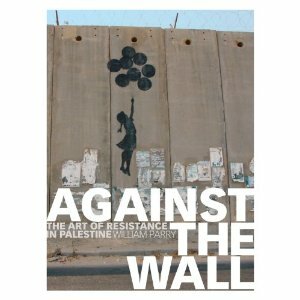 This is the question posed by photojournalist William Parry at the start of his new book Against the Wall: The Art of Resistance in Palestine (Pluto Press, May 2010), in which he documents graffiti artwork on the West Bank Wall and the stories of Palestinians whose lives are affected by said monstrosity. 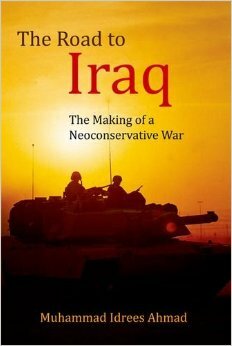 Below is the introduction to the book, which has been endorsed by political cartoonist Joe Sacco, among others. Check back early next week for a selection of images from Against the Wall. In December 2007, the celebrated and famously elusive British street artist, Banksy, and a London-based organisation called Pictures on Walls, relocated their annual ‘squat art concept store’ called Santa’s Ghetto from London to Bethlehem and invited 14 other international street artists to join him to work with Palestinian artists. The concept was simple: the artists would make artwork available for sale by auction to the public – but those wanting to buy an original work of art by Banksy or the others had to physically go to Bethlehem, witness Israel’s occupation and checkpoints, and bid in person. The artists also used the opportunity to utilise the Wall as a giant billboard for their own political messages with some massive, stunning images – wall spaces throughout the city were also populated with work that challenged or subverted understandings about the reality faced by Palestinians under occupation. Within a few short weeks, Santa’s Ghetto had raised over $1 million from art sales for local charities and brought Bethlehem and the Wall to the world’s attention in a way that transcended language and engaged millions who wouldn’t ordinarily take an interest in Israel’s illegal occupation of Palestine. Just as important, it sent a message to the people of Palestine: you are not alone in your struggle. The spray can hasn’t forced Israel to stop building its highly controversial Wall, but in the skilled hands of a guerrilla street artist like Banksy, it’s a formidable weapon in the struggle for hearts, minds and justice. Banksy’s artwork cuts to the heart of a contentious issue with thought-provoking wit, immediacy and appeal. Banksy and co.’s street art in Bethlehem and in the suburbs of Jerusalem has engaged a Western audience and contributed to an awareness about the reality on the ground and the asymmetrical power struggle between Palestinians and Israelis. Banksy’s images in particular communicate this to a mass audience via the media and internet with flabbergasting economy and efficiency. That ability to challenge Israel’s narrative and to influence the Western public’s perception of the Wall and the broader conflict is as rare as it is invaluable. Can the Wall ever be beautiful in the eye of the beholder? Other Palestinians may not have time for the artwork on the Wall – they’re too busy trying to cope with an oppressive daily existence that is made more so by the Wall – but most I spoke to welcomed the show of solidarity from the outside world. Taxi drivers and business owners in Bethlehem were effusive, ready to adopt Banksy as a son of the struggling city, given the number of tourists the project’s work has attracted. Palestinians don’t object to Israel giving the world’s graffiti and street artists the largest canvas on the planet: what Palestinians primarily object to is its route – it doesn’t follow the Green Line, the internationally recognised Palestine-Israel border. If you insist on building a Wall, they say, build it along the internationally recognised border that we share. Fair enough. But Israel hasn’t, and refuses to. The Green Line is 315 km long. The Wall will be 709 km long when it is completed, and about 85 percent of that will be built on West Bank land. Consequently, its route will annex 10 percent of the West Bank to the Israeli-controlled side. This insidious path, Palestinians assert, is a de facto land grab by Israel. The reason for this circuitous route? Since 1967, successive Israeli governments have encouraged the establishment of illegally built Jewish-only colonies, euphemistically called ‘settlements’, on Palestinian land that Israel has illegally occupied for 42 years. Every one of Israel’s 220 colonies and outposts (fledgling colonies) in the West Bank is deemed illegal under international law: they contravene the Hague Convention, the Fourth Geneva Convention and UN Security Council resolution 465. In 2004 the International Court of Justice reiterated that ‘Israeli settlements in the Occupied Palestinian Territory, including East Jerusalem, are illegal and an obstacle to peace and to [Palestinian] economic and social development, …[and] have been established in breach of international law’. Although the colonies themselves occupy just 3 per cent of the West Bank, the complex security apparatus and infrastructure that serve these illegal colonies and their 500,000 Jewish settlers, and connect them to Israel, require Israeli control over a staggering 45 per cent of the Palestinian West Bank. The Wall’s route is cutting deep into the West Bank to ensure that 80 of the most sizeable and significant colonies (385,000 settlers) will be on the west side of the Wall. In other words, Palestinians have been losing land and rights illegally to Israel’s colonies for over six decades, and are now losing more land via the Wall – another Israeli project deemed illegal under international law – so that Israel can annex this colonised territory and unilaterally impose a new, larger border. But it’s much more than just a land grab. The impact that the Wall is having on Palestinian lives, livelihoods, businesses and communities is, Palestinians and others insist, designed to isolate the West Bank’s communities economically, socially and culturally – and thereby strangle them. The Wall divides major Palestinian population centres into fragmented ‘Bantustans’ (this was the term used by a recent Israeli Prime Minister, Ariel Sharon). Critically, it isolates the West Bank’s major cities from Jerusalem, the economic hub of the West Bank, as well as the Palestinian cultural and spiritual capital. Without Jerusalem, the surrounding cities will wither. Palestinian land owners are made to apply for a ‘visitor’ permit to access their farmland, their olive groves, their greenhouses from the Israelis, who then determine who ‘qualifies’ for a permit. This permit regime has separated 80 percent of Palestinian farmers from their land and livelihoods in parts of the West Bank, and it regulates the few hours that they can access their land (some permits only allow weekly or seasonal access). The Wall is about separating families from their communities, their schools, their places of worship, from their clinics, hospitals and specialist facilities. It makes accessing them, via military checkpoints, difficult, time-consuming and humiliating. It makes Palestinians, as they say, refugees in their own land. As I toured East Jerusalem and the West Bank, interviewing scores of Palestinians, it was clear, as these pages illustrate, that this is the very real effect that the Wall is having on Palestine. ‘Forced transfer’ and ‘ethnic cleansing’ are terms commonly used to describe policies that Israel is pursuing via the Wall. One is left with the impression that it has been meticulously and methodically planned in order to impair the fabric of Palestinian life and society – and it appears ruthlessly effective. 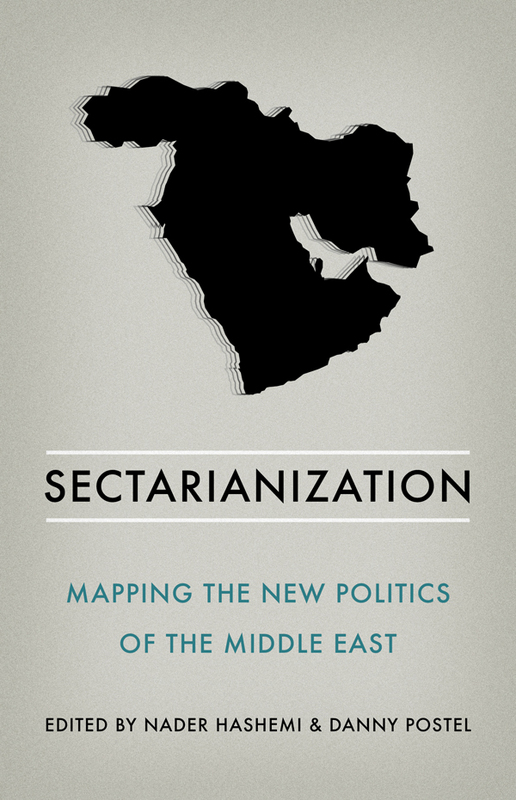 What it also seems to have destroyed is the prospect of a two-state solution to the conflict. Collectively, the colonies, the infrastructure that serves them and the Wall make a politically and economically viable Palestinian state impossible – they have cut up the occupied Palestinian territory into physically isolated cantons. Witnessing the reality created by Israel in occupied Palestine – its policies of colonial expansion, control and repression, and its Wall, which is a manifestation of all three – is shocking the more one sees what Palestinians are made to endure, and what the rest of the world allows to happen. ‘Security’ – the reason Israel gave for its need to construct the Wall – seems disingenuous and riddled with inconsistencies, many legal experts and humanitarian organisations argue. The Israeli human rights group B’tselem and Bimkon co-published a comprehensive study, aptly called Under the Guise of Security: Routing the Separation Barrier to Enable Israeli Settlement Expansion in the West Bank, which shows the ‘security’ element to be a political ruse. This book coincides with the sixth anniversary of the ICJ’s Advisory Opinion, which unequivocally stated that the route of the wall in the occupied Palestinian territory is illegal under international law; that Israel must stop building it and demolish what has already been constructed; and that Israel is under an obligation to make reparation for all the damage caused by the construction of the Wall in Palestine. This advisory opinion was overwhelmingly backed by a UN General Assembly Resolution – backed by words and six years of underwhelming inaction. Israel immediately rubbished the ICJ’s ruling and continues to build the Wall with impunity. Our governments, which the ICJ said are obliged to help enforce its decision, remain complicit through their silence and inaction. 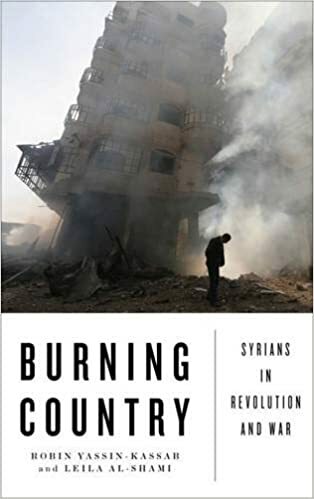 The book thus closes with an epilogue that highlights one Palestinian community – the village of Ni’lin – currently on the frontline of opposing, through peaceful protest, the construction of the Wall on their land. The Israeli response to this popular resistance is what many call a ‘grossly disproportionate response’: Israel routinely uses 40mm tear gas canisters, rubber coated steel bullets and live ammunition against largely defenceless civilians. They have killed 19 demonstrators and injured thousands over the past five years. Israel also uses collective punishment to try to break the unity within these of communities and undermine the spirit of collective resistance. Ni’lin, like many other Palestinian communities, continues with its struggle for justice, undeterred and resolute, against overwhelming odds. The idea for this book started as facetious text. I was walking around Bethlehem as I did my research for a magazine article on the Santa’s Ghetto project. While taking in the volume of witty and moving artwork – nowhere is this richer, more varied, concentrated, pressing and on such a vast scale than on the Wall in Palestine – I noticed that it’s kaleidoscopic too, so much had changed since a visit just half a year earlier, and was bound to change before my next visit. I texted my partner: Someone should compile a book of the artwork on the Wall for posterity. One day the Wall won’t be here so we need a record of it lol! Twenty years after the Berlin Wall fell, this book is being published. There are some really tallented painters, I’ve seen whole collections, however the spray can is useless if your brother is wielding a sword. It just makes your bad neibhour attack your brother and it’s all fun and games untill you yourself loose an eye.